White-sand beaches, azure waters, clear-blue skies – a Thai island holiday delivers the quintessential tropical dream. If you’re wondering which are the best Thai islands for families, you’ll be pleasantly surprised to find that there are multiple options. The best Thai island for your family depends on… your family. 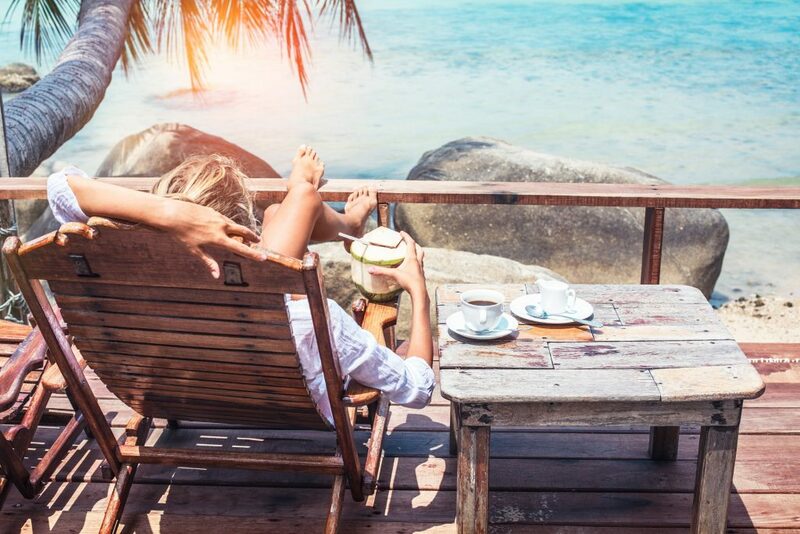 With so many great islands to choose from, you need to first narrow down the type of holiday you want. Are you an active family that loves outdoor adventure? Are you all about exploring far-flung islands? Are you accustomed to indulgence and pampering? Or do you just want a comfortable bungalow by the beach? The 12 islands below are our recommendations based on our own travel experiences as well as our professional expertise organizing family trips in Thailand. Naturally, every traveler will experience every destination differently, so when you’re planning your Thai island family getaway, be sure to do your research – or speak to a local expert – before you go. Thailand’s most famous island destination is perfect for family trips because it offers a little bit of everything. The most developed of all Thai islands, it has the depth and breadth of tourist infrastructure to ensure a great time for all ages – even parents with tiny babies will feel well-catered for. The island has family-friendly resorts, Michelin-starred restaurants, nature activities, luxury spas, quiet beaches, water parks, a rich cultural heritage to explore and everything else you would expect from an island with more than half a million residents. While it’s a challenge to find a truly ‘deserted’ patch of sand, it’s not impossible, though Phuket is better for those who like to mix up lazy time on the beach with great dining, kids’ programs and cultural explorations. 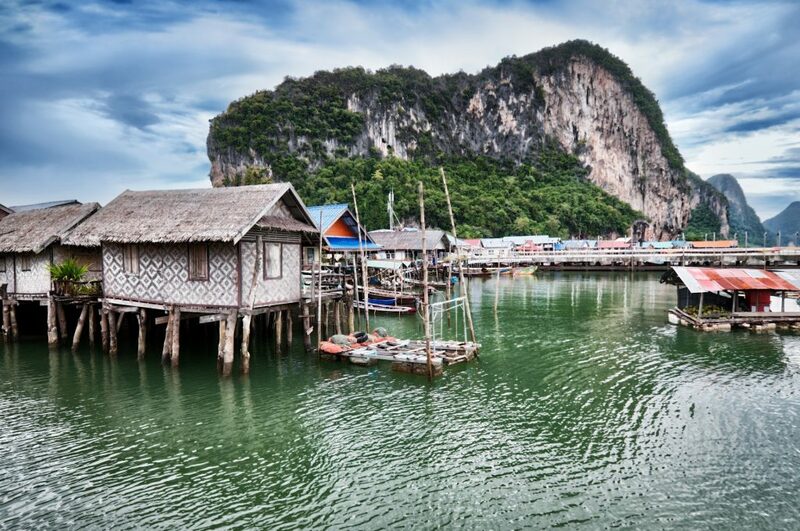 Go on a Thai street-food tour, meet elephants at a sanctuary or explore nearby Phang Nga Bay– you can do it all from here. Thailand’s second-most populous island has blossomed into a sophisticated tropical paradise. The best Thai island for families who like idyllic beaches with some cosmopolitan polish, Samui also wins points for accessibility, with an international airport and multiple options of getting around the island. It also experiences great weather for most of the year (January to late September), and boasts proximity to the beautiful Ang Thong National Marine Park for day-trips. 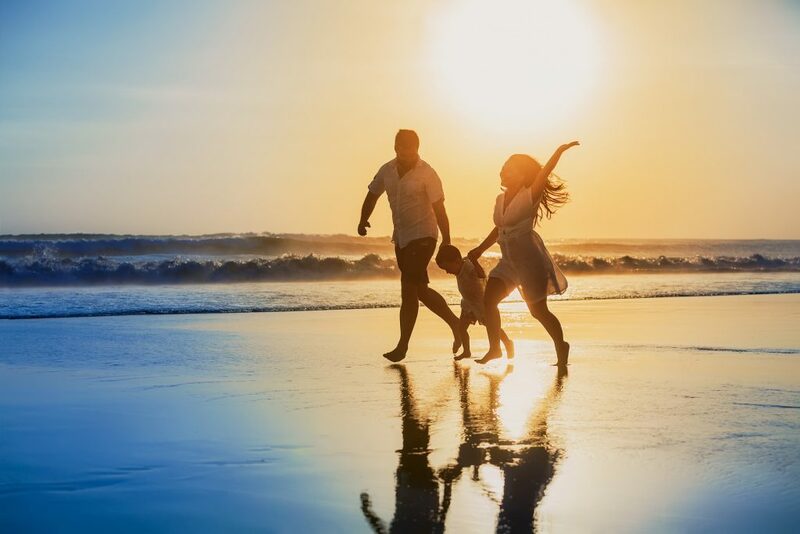 Families will find five-star resorts, stylish boutique hotels, trendy restaurants, luxurious spa and wellness and pampering yoga retreats aplenty. Mae Nam and Lamai are two of the island’s more swanky areas, with resorts in Bophut and Chaweng also good choices for families who want to be close to shopping and dining. The sleepy south, with its fishing villages and quiet bays such as Taling Ngam, serves up a more relaxed island vibe, though stylish hotel brands are slowly moving in. And the northern interior of the island lays claim to some seriously luxurious family-sized villas with breathtaking views. This large, mountainous island on the eastern side of the Gulf of Thailand remains relatively undeveloped due to its status as part of Mu Koh Chang National Park. Its distance from Bangkok (a five- to six-hour drive or a flight-van-ferry trip) deters weekend travelers from the capital, helping the island maintain a rustic, unhurried feel. That’s not to say there aren’t any luxury resorts in Koh Chang – there are plenty. But you’ll still find family-run bungalow resorts lining its pristine beaches. While some beaches can experience strong currents, most are calm and blue. 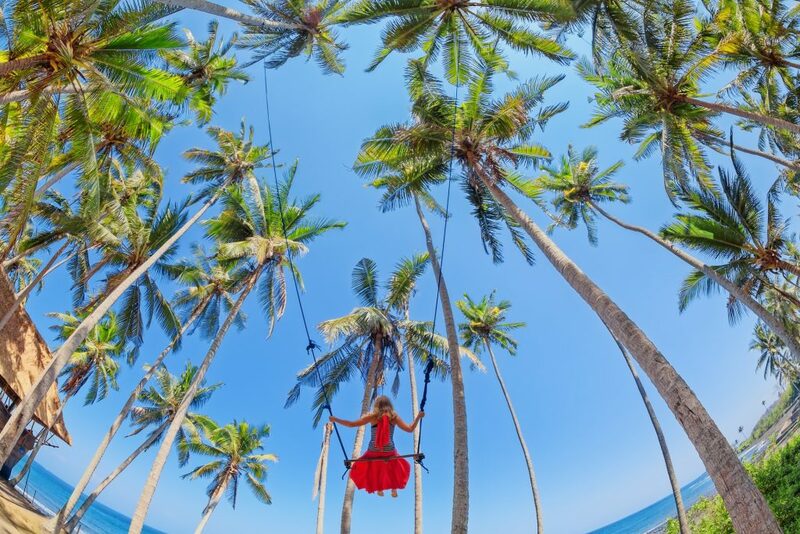 As mountainous as it is, Koh Chang is not the island for families to explore on a motor scooter – it’s more a destination where you find your perfect beach and spend your days swimming, playing, eating and napping. White Sand Beach – the most developed on the island is fine, but venture farther south and be rewarded with thinner crowds and nicer beaches – check out Kai Bae, Klong Prao and Lonely Beach for a Koh Chang family holiday. The idyllic Koh Lipe lies two hours off the coastline of Trang Province, and is one of the southernmost islands of Thailand. It is surrounded by coral reefs within steps of the shoreline – perfect for families who like swimming and snorkeling literally at their doorstep. The island’s main areas – Pattaya Beach and Walking Street – can get busy, particularly at high season, but Sunset and Sunrise beaches are still fairly quiet. Sign the kids up for children’s diving or snorkeling lessons and head out on one of countless excursions around Tarutao National Park. When you’re not in the water, go on a walk around the island (it’s small enough to explore on foot), or take a boat to neighboring Koh Angang for hiking and deserted-beach combing. Stay at Sunset Beach for calm seas, quiet nights and corals you can walk to. Koh Jum– also called Koh Pu – is still ‘undiscovered’ enough for you to feel like the Family Crusoe, despite the fact that it’s only a 30-minute ferry ride from Krabi. Much of the island is covered in rubber tree plantations, and the local Thai-Muslim and Thai-Chinese populations are small and seemingly unaffected by tourism. The beaches are long, quiet and deserted, and you will not find an ATM or 7-Eleven on the island. And yet, you will find the full spectrum of accommodation styles. Rustic fan rooms, bohemian bungalows and luxury villas, alike, nestle in the casuarina trees along its shores. 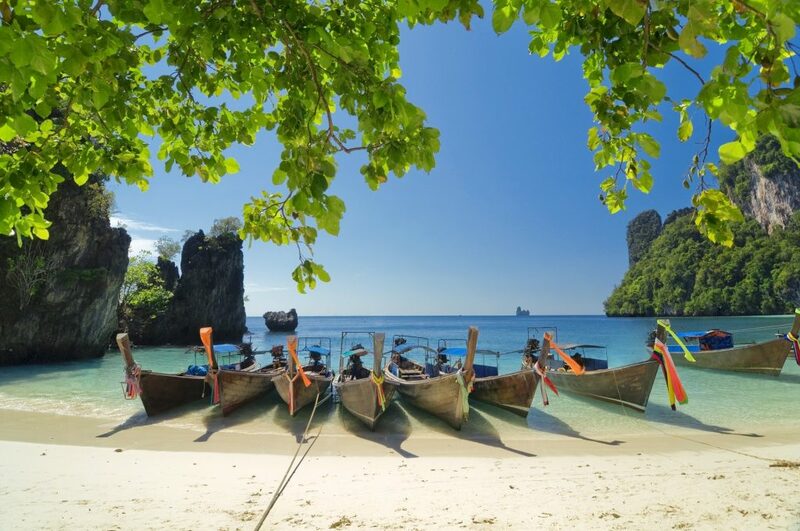 As an off-the-beaten-track Thai island, most activities here are to do with exploring – take a long-tail boat around the island to find hidden bays, take older kids kayaking through the mangroves or trek through the jungle-clad interior. 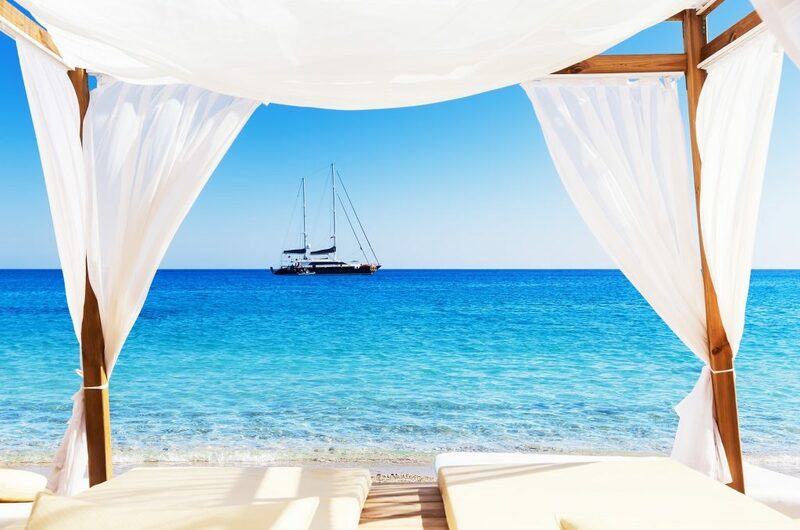 Conversely, just simply relax on a long stretch of golden beach, a world away from anything. If you’re enjoy a family holiday in Thailand and you just want a quick, easy island holiday from Bangkok, Koh Samet is your best bet. Its fuss-free accessibility from the capital (2.5 hours’ drive) makes it a top pick for expats and Bangkok residents, and it’s got plenty of resorts to choose from that cover every level of luxury. Best of all, Koh Samet experiences a relatively dry climate – if there’s any island with ‘perfect’ weather year-round, Samet is it. Obviously, weekends should be avoided if you want to also avoid the crowds, which mainly congregate around Sai Kaew (White Sand) Beach. The farther south you venture, away from the pier, the more tranquility you can expect – a good balance of serenity and proximity to restaurants can be struck around Ao Phai and Tub Tim beaches, where the waters are calm and crystal-clear. So there’s no single best Thai island for families who want to be immersed in nature – most of the islands on this list will offer back-to-nature activities. Koh Phayam, however, makes it effortless, with no cars, dense jungles and long, windswept beaches strewn with modest bungalow resorts. Two-and-a-half hours by ferry from the coast of Ranong Province, this island sits adjacent to the southernmost islands of Myanmar in the Andaman Sea. It feels remote, physically and culturally, from Thailand, with a wild, unpolished charm that speaks to the nature-lover within. A family holiday on Koh Phayam entails lots of beach time – Ao Yao (Long Beach) is one of the few places in Thailand where you can learn to surf. There’s kayaking through mangroves, exploring the island on two wheels (it’s flat and main roads are sealed), eating fresh seafood, spotting native hornbills, chasing the millions of crabs that appear on the beach at sunset, and swimming and snorkeling. Note that Koh Phayam’s rawness and remoteness might make Koh Phayam challenging for families with babies or very young children. Obviously, most islands have beaches, but the stunning Koh Kood boasts some of the most beautiful beaches in Thailand, if not the world. Its western coastline is just one perfect beach after another, so if your family loves sea and sand, this is the island for you. The main beach of Khlong Chao is a convenient area to stay in, as it’s easy to explore both north and south from there. Alternatively, it’s a good area if you just want to stay put most of the time, reveling in the idyllic coastal setting and exploring the surrounding restaurants and cafes on foot. If you’re relatively confident on a moped, it’s easy to get around and see a few different beaches in a day. You’ll find plenty of restaurants dotted up and down the main road, serving up everything from fresh seafood to smoothie bowls to pizza and pasta. Koh Mak is an unassuming little island between Koh Chang and Koh Kood. Small, flat and quiet, it’s easy to get around and easy to find what you need; in fact, everything on Koh Maak feels decidedly effortless. Even picturesque beaches seem to jump out of nowhere as you explore more and more of the island. Another island with no cars, Koh Mak is easy enough to get around by rental tuk-tuk or moped, or bicycles if you don’t mind a few long rides through rubber tree plantations. Though small, it offers a fair range of affordable family accommodation, from private villas and deluxe suites to rustic bungalows and boutique eco-tents. Spend your days on the beaches, trying out different restaurants and doing day-trips to the surrounding islands. Koh Lanta is like a much, much quieter version of Phuket. It’s fairly well-established, the main beaches are long (so they seem empty) and lined with bars and restaurants, and there are resorts to suit all budgets. Delightfully, it is very family-friendly and on the main beaches, you’ll find kids keenly welcomed and catered for with children’s menus and toys, if not full-blown plastic slides and playsets. There are also pharmacies and supermarkets on the island where you can find baby-related essentials. As with many islands, hiring a moped is the best way to explore, but you can also rent a car or hire a songthaew for private journeys. See the old town, have a game of paintball, volunteer at Lanta Animal Welfare and take a dog for a walk on the beach, or check out the Khlong Chak Waterfall and Mu Lanta National Park at the very south of the island. 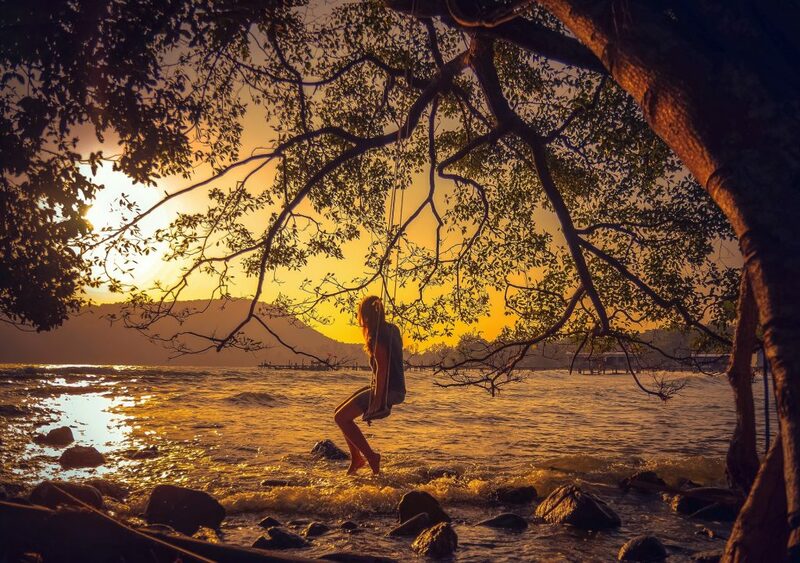 Imagine: an island where you can just let the children run loose. Perhaps that’s an overstatement, but if there were ever a ‘Fantasy Island’ for parents, Koh Munnork would be it. One small private island with one resort, it’s the perfect place for families who want to snorkel, build sand castles, nap under the trees, enjoy wholesome food, go on little trekking adventures and take cooking classes together, without having to leave the resort. The waters are clear and blue, the menu changes from day to day, the bungalows are deluxe with rustic charm and with only 22 villas, it feels like a private hideaway. Should you feel like returning to ‘civilisation’, Koh Samet with its fire-twirling shows and cocktail bars is a short boat trip away. You want to get away from it all, but still want creature comforts. You want to relax, but you don’t want to be bored (and you definitely don’t want the kids to be bored). You want to be away from the crowds, but you don’t want to spend half your holiday traveling. Koh Yao Noi (Long Small Island) sounds like the place for you. It’s still relatively unheard of on the international travel circuit, so it might surprise you that it’s only 30 minutes from Phuket and Krabi – a great island to end up on after a longer Thailand tour. Development on the island has remained slow and the party scene is non-existent, thanks to local families committed to preserving Yao Noi’s wholesomeness. Though quiet, there are enough beaches around the island to explore, and there’s a good selection of cafes and restaurants to keep your palates entertained as well. For explorations farther afield, book an island-hopping tour across or Phang Nga Bay on a local longtail boat. To enquire about a tailored Thai island family holiday or find out the best Thai island for your family, contact one of our Travel Specialists.